When I think about this past year it gives me mixed feelings. I saw new places, met new people, and realized a whole lot about myself. But honestly, it was such a mess and filled with emotions that I'd rather never revisit. If you couldn't tell by how badly I let my blog die, the truth is that I was left exhausted and unmotivated because life threw some stones at me that I was very much not expecting. With personal dramas and my job (that I do not love at all) mentally draining me, I just couldn't keep up with the fun things like the blog world and my youtube channel or social media as a whole. But wait, this wasn't supposed to be a Debbie Downer post. Queue the rewind sound effect. As most of us know, trying to remember what you've done in a year can be hard. I can't even remember what I typed ten words ago, never mind what I did 12 months ago. Thankfully we have things like Instagram that store all those aesthetically pleasing memories for us. I met Jenna Marbles and Julien, twice! I went to BeautyCon and I hated it. We went home for Christmas and surprised everyone! And we ended the year with a gorgeous view of our first time in San Diego. :: We went to Lake Arrowhead for our first time. :: Spent a weekend in Orange County to attend the Kid Rock concert for our second time. :: Saw Kevin Hart on the What Now tour! :: Went to a country concert (Lee Brice) and got way too drunk. 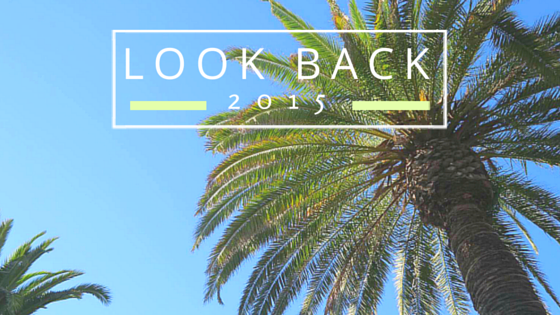 What are some of the exciting things that you did in 2015? Share in the comments below and let me know what you're excited to do in 2016!